This is the ultimate question to ask when getting ready to hire a general contractor for any job (big or small) at your home. You want to make sure that you chose someone reliable, honest, fair, and quality-focused. But how do you know from a simple meeting that a business embodies all of these characteristics? And perhaps more importantly, how do you know which contractors to say “no thanks” to? Use the list below as a guide to help determine which general contractors you should hire and which you should not. All legitimate general contractors are licensed. The best general contractors have a Class A license. The difference in license level is determined by different requirements to obtain them – it is much more rigorous to earn a Class A license compared to other levels of contracting licensure. Hiring a general contractor without a proper license could result in legal issues for you – and we certainly don’t want that! They should be insured (general liability and workman’s comp). In the unfortunate and unlikely event that something goes wrong on the job – a worker gets injured, something happens to the home, etc – a general contractor’s insurance and workman’s comp should cover this. If the general contractor you hire does not have the proper insurance that means that you, as the homeowner, could be liable. That would not be good news. They should have online reviews. 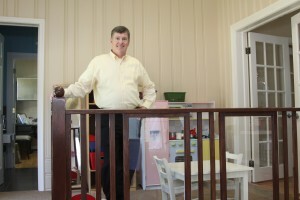 You want to hire a general contractor that is reputable and has done past work. One of the easiest ways to determine this is by looking at reviews online. Houzz, Google Reviews, Merchant Circle, Yelp, etc are all providers of reviews that are absolutely free to the consumer. 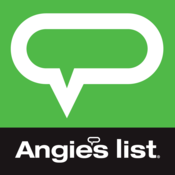 Angie’s List is also a great review site, but since users have to pay to participate not everyone has access to the site to write a review or read one. Ask for references. They should give them to you. Reviews are good, but references are better. When you are making final determinations regarding your general contractor ask for references from past clients who had similar work done. At this point in time most general contractors will have their own website. Check out the portfolio on their site and determine if you like what you see. Other sites like Houzz, Porch, and Kudzu, also provide platforms for galleries of past work. It’s probably a bad sign if a general contractor is asking for anything more than 30% upfront. The pay schedule should make sense and should be equivalent to the value of the work that has been done already. They should offer a warranty. A warranty of about a year is a good sign when hiring a contractor. It means that they are confident in the quality and workmanship of their product, but its not “too good to be true,” which is often a warning sign. Using these quick tips you should be able to hire a reputable and excellent general contractor!